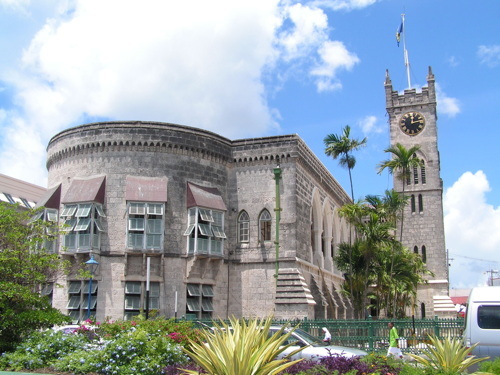 Devout Muslim terrorist attack on Canadian Parliament – is Barbados as vulnerable? Early Wednesday morning a Canadian devout Muslim named Michael Zehaf-Bibeau murdered an unarmed soldier standing guard at the war memorial in Canada’s capital city of Ottawa. Zehaf-Bibeau then stormed Parliament with a firearm where thirty or forty shots were fired between the terrorist and security personnel. The Sergeant at Arms, an older gentleman in a largely ceremonial position, shot and killed the Muslim terrorist with a pistol. Initial news reports claimed that the terrorist was a ‘recent convert’, but it is now emerging that Zehaf-Bibeau had been a Muslim for years and may also hold Libyan citizenship. Police say his father is an immigrant to Canada from Libya, who returned to his native country in 2011 to wage Jihad war. You can clearly hear the terrorist shouting “Allah Akbar” in a video made during the shooting inside Parliament. The attack came only two days after a Jihad attack in Quebec where another devout Muslim ran down two Canadian soldiers in a shopping mall parking lot. One soldier died in that attack and the Muslim terrorist was shot to death after crashing his car and coming at police with a knife.